Welcome to my review of the 3DR Solo drone, the 3DR drone has been on the market a couple of years now and despite its lackluster sales performance, its remains one of my favourite smart drones. and the good thing is, its price has come down drastically, you can get the drone with a compatible GoPro camera for less than $500!! One of the good things from a consumer perspective is its price has come down drastically, you can get the drone with a compatible GoPro camera for less than $500!! When 3DR released their drone, the Solo, it was and still is in many respects one of the best drones for aerial photography. Not only is the design aesthetically pleasing to the eyes, it came with features that were innovative and looked to challenge DJI’s dominance. 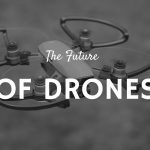 3D Robotics have built a stunning drone, however, they failed to crack the DJI dominance and it looks like the company have all but thrown in the towel and are looking at other ways to carve a market out in the drone industry. That being said, the 3DR Solo is still a great drone that is suitable for beginners and experienced pilots alike. It comes with 4 independent flight modes that have been specifically engineered with photographers and videographers in mind. Design and feature wise this is one of my favourite high-end drones, and one of the many plus points is that it is compatible with a variety of GoPro HD cameras. Unfortunately, it looks like 3DR have stopped production of these drones, so if you do buy one, be aware that there is little support from their website. 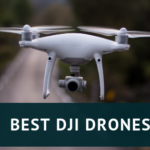 However, should you require any help with the drone, there are many websites and forums that may have answers to your problems, should you ever run into any. Having said that, let’s get on with this review and see why it received near universal acclaim despite its failure in the drone market. 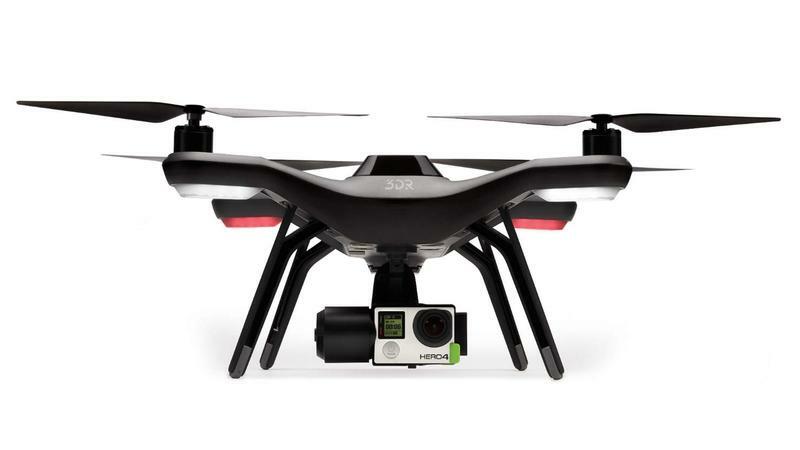 The 3DR solo is built to last and its look is that of a stealth military aircraft. Its props are made from nylon fiberglass and the legs are designed to withstand hard landings and to protect the gimbal and camera. It weighs around 3.3 lbs without a camera and gimbal but with those, its weight is increased to around 3.9 lbs. Needless to say, its flight time is also subject to the payload it carries. It comes with 4 propellers,2 with silver markings and 2 with black markings. The motors are marked with the corresponding propeller colours so that you will know which propeller goes where. In my opinion, it is truly one of the best-looking drones on the market. The solo uses a pixhawk 2 flight controller along with two 1Ghz Linux programmed processors. One processor is in the drone whilst the other is in the controller. This arrangement gives the flight controller the sole duty to keep the quadcopter in the air. 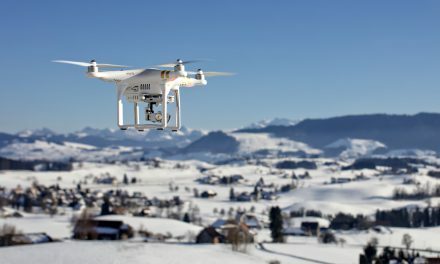 This configuration also mitigates the chances that should the flight controller freeze up, the drone will hover where it is until the Linux computer reboots successfully and if it does not, the drones return home feature will be activated. 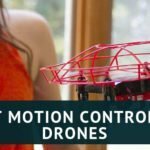 The controller of this drone imitates the design of a video game controller which allows you to operate the drone in a familiar manner. With a set of two joysticks and a straightforward Fly button, this controller has the simplest operating system to fly the drone. It also has a return to home button which helps in automatic landing. The controller has a small LCD screen which displays small amounts of data, however, to get the full experience you will need to attach a smartphone or tablet to the controller. This gives you more control over the camera and provides you with fpv capabilities. You will need to download the official app from Google play or the App store to make use of fpv and smart shots. One of the flaws of this drone is that it does not come with its own camera and is only compatible with GoPro 3,3+ and 4. So in addition to the cost of the drone, you will also have to buy one of these cameras. However, there is an upside to this, which is that you are not limited to just one camera. So you have a choice of GoPro cameras to choose from and GoPro are known for the quality of their cameras. Also keep in mind that you will have to purchase the 3-axis gimbal separately,so that is an additional cost along with the drone. The drone does take some stunning footage as shown in the video below. One of the best features of this drone is the smart shot or intelligent flight modes. The intelligent flight modes include video and advanced flight options that allow easy capturing of photo and video shots. The Solo drone has 4 intelligent flight modes that will make flying this drone even more fun. It is the first drone with these intelligent flight modes. All the flight modes are enabled via the 3DR Solo app,which can be downloaded from Google app store or iTunes. Cable cam – Yiu set the course of the drone on the app and the drone will fly along that route by itself. Orbit mode – lets the user set a target to be photographed or filmed while the drone will orbit around the subject. You can change the circle of orbit with the forward and back controls. The centre of the orbit can be determined in satellite mode; you just drag the screen around until the marker is over the point you want to orbit. You can also adjust the camera tilt and altitude. Selfie mode – Pretty self-explanatory; you press the button with the selfie icon, do this whilst the camera is facing you. Then adjust any other settings like distance, altitude, and speed and then let solo do the rest. It really is that easy. Smart shot – is also called the follow me mode this is also pretty self-explanatory. When this icon is pressed, the drone will face towards the controller and provided it is within its Wi-Fi range, the drone will simply follow the user. You can also set the distance and altitude the drone follows. 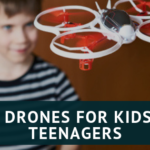 Other options include the drone orbiting you or just hovering in a position and only tilting its camera to wherever you move. The video below will provide a better overview of these amazing features. In flight this drone is stable and easy to control, the controller has a range of around ½ mile, beyond that, if you lose connection the drone will activate its return home feature and return to it took off from. Its robust build holds up well in rough weather and has been known to handle the occasional crashes without much damage. 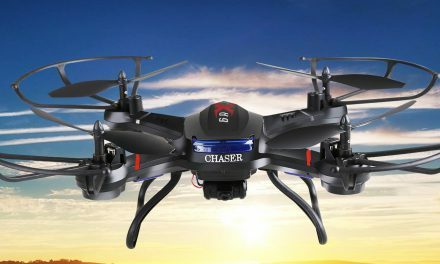 It can reach a top speed of 55 mph which is faster than many of other drones in its class, however, there is no obstacle avoidance system, there were rumors that an upgrade that included such a system was in the works, however that has since been abandoned. With the intelligent flight modes, you will be making heavy use of the camera, as usual the camera and gimbal will reduce battery time. The battery life and charging time is a bit concerning aspect as compared to its other competitors in the market. The device uses a 5,200mAh Lithium Polymer battery. When the Solo is flown with the camera on, it flies efficiently for around 18-20 minutes and without the camera, it flies for around 22- 25 minutes in the air. The charging time to attain a full battery for the Solo is around 70-90 minutes. With smart drones like the 3DR solo, you will need extra batteries to fully experience the drone capabilities, its why I always advise people to buy extra batteries. To sum up, the 3DR Solo Drone is definitely one of the best drones for aerial photography, it is up there with phantom 3 pro. The software installed inside the controller and drone makes it easy for beginners to use and for more skilled pilots there are features that they can utilise too. One of the great aspects of this drone that it is built in such a way that its features can be expanded. One of the downsides is its battery life when compared to its competitors and its GPS connectivity. However, one of the guarantees 3DR have made is that if the drone malfunctions or is lost, they will replace it even the camera that was attached to it. This is subject to the malfunction being a fault within the drone and not the pilot. 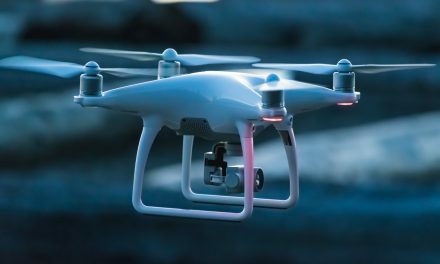 The other flaw is that there is no camera that comes with the package, although the drones price has come down drastically, the GoPro cameras that are compatible with the drone may cost you more. You should also be aware that 3DR have actually stopped manufacturing the Solo drone because of underwhelming sales performance. 3DR are now looking for on the commercial side of drone application, so if you do decide to buy a 3DR Solo drone, keep in mind you may not get much support from 3DR should something go wrong. The drone is still one of best looking and the first true smart drone, it has a lot of features and is still one of the fastest in the market. If you can find good deals for some GoPro cameras, then this drone is worth looking into.